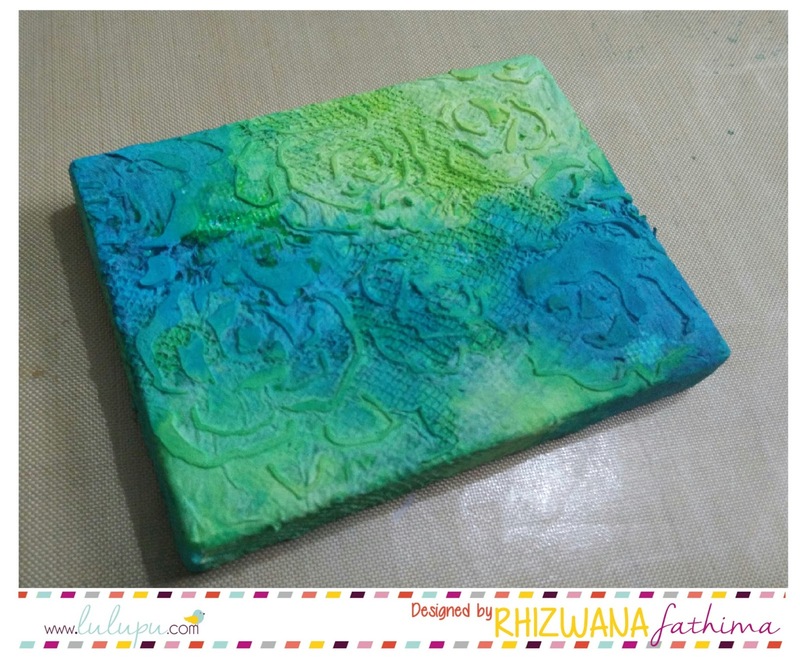 Lulupu - The Craft Lounge: Mini mixed media canvas with a tutorial.! 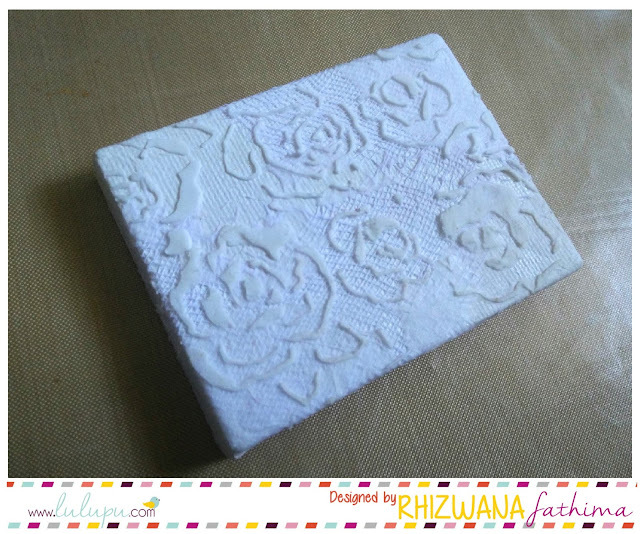 Riswana here today with a mini mixed canvas project & also a pictorial for the same.! This canvas measures 3"×2.25". I love to work with small canvases & miniatures as it's very challenging to add details in such tiny spaces. So let's get on with the steps.! Add more texture by applying texture paste through a stencil. I used Ranger texture paste & Prima Fading Floral stencil. 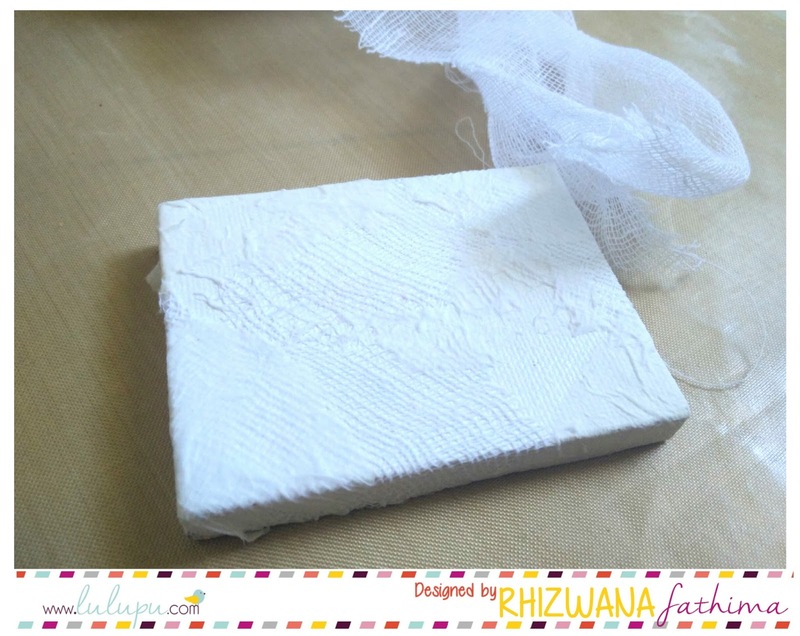 After the texture paste has dried completely, Coat the whole canvas with gesso. Now let's add some colours with Ink sprays. You can use any color sprays/mists for that matter. Making sure to dry completely in between each step is the key here. 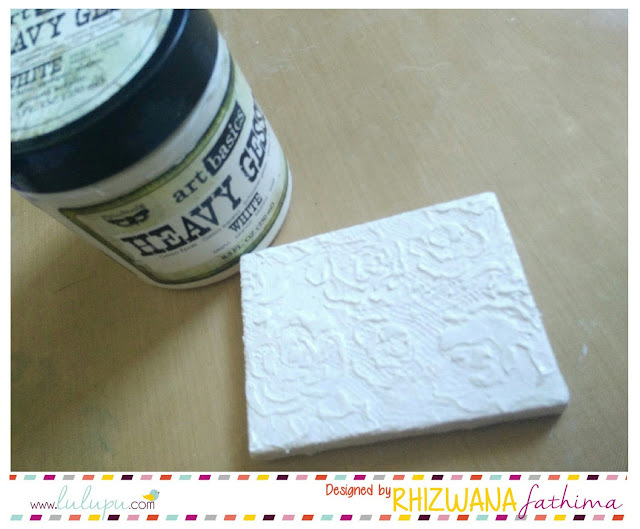 So once the colors are dry, apply some gesso to bring out the relief areas. Use a completely dry brush/sponge or your fingers like I did. Add some glitter if you wish to make the background more interesting. I used a tiny amount of Faber castell glass bead glitter gel. Make some embellishments to go with the background. 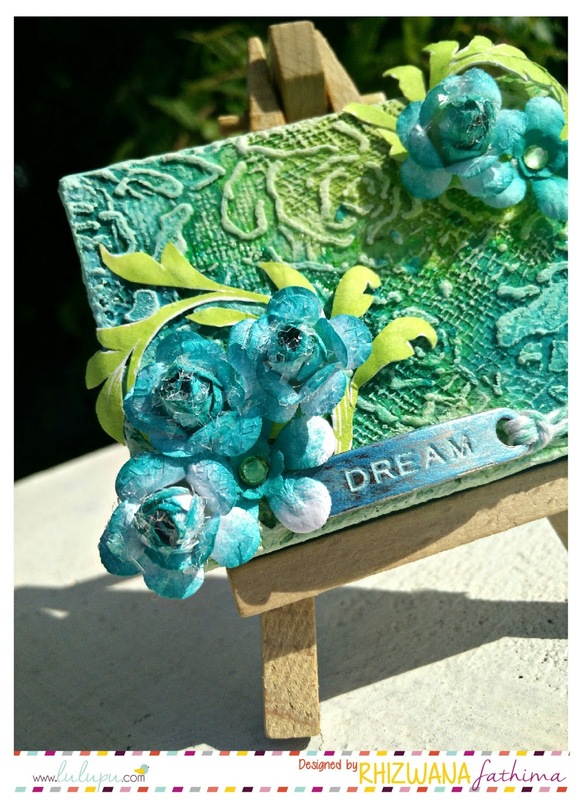 I made two different blooms using the EK tools retro flower medium punch & peacock feathers distress inks. To jazz them up a little, I added rhinestones & also Diamond dust. I stamped the flourishes from Mudra's fancy flourish stampset with green pigment ink. 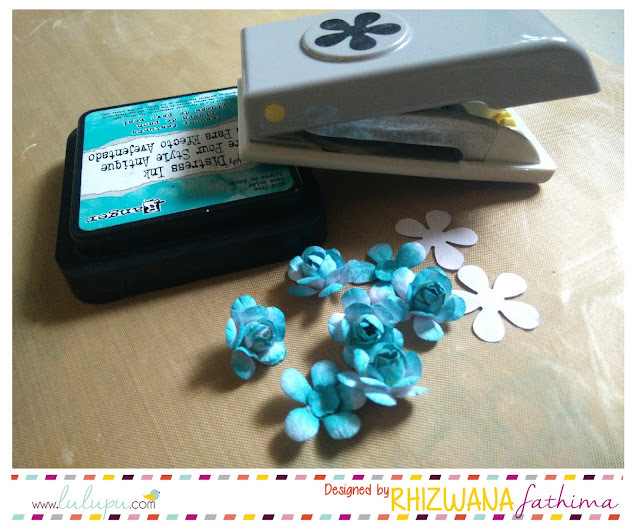 Fussy cut it & added more dimension using an embossing tool. Add a baker's twine to the metal plate charm. Also add some Inka Gold (aquamarine blue) to mute down the sheen a bit & give a worn look. Adhere the embellies the way you want and you are done.!!! Hope you liked my project & found the tutorial helpful.! Absolutely Fabulous in cool colors! 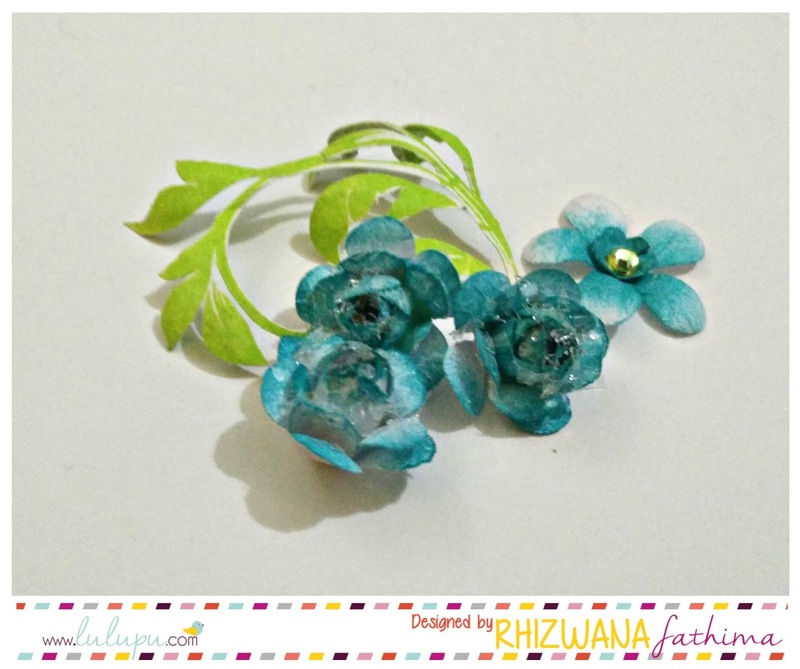 Love your beautiful handmade florals with amazing textures u achieved! This canvas is so beautiful ! You have do each Fantastic job on such small canvas ! 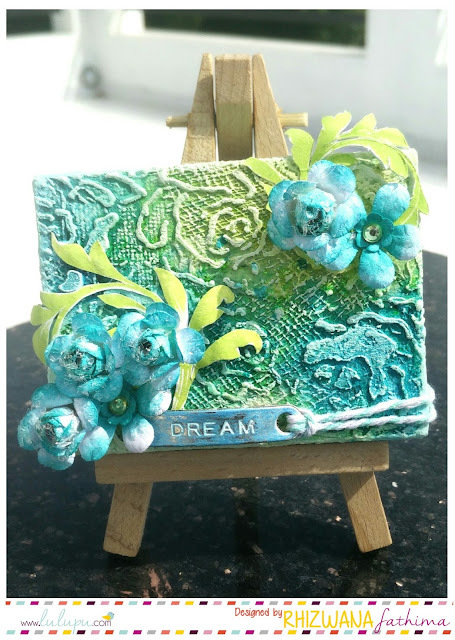 Stunning creation.thanks for sharing the tutorial. Oooh I love every inch of this Rhizwana!! 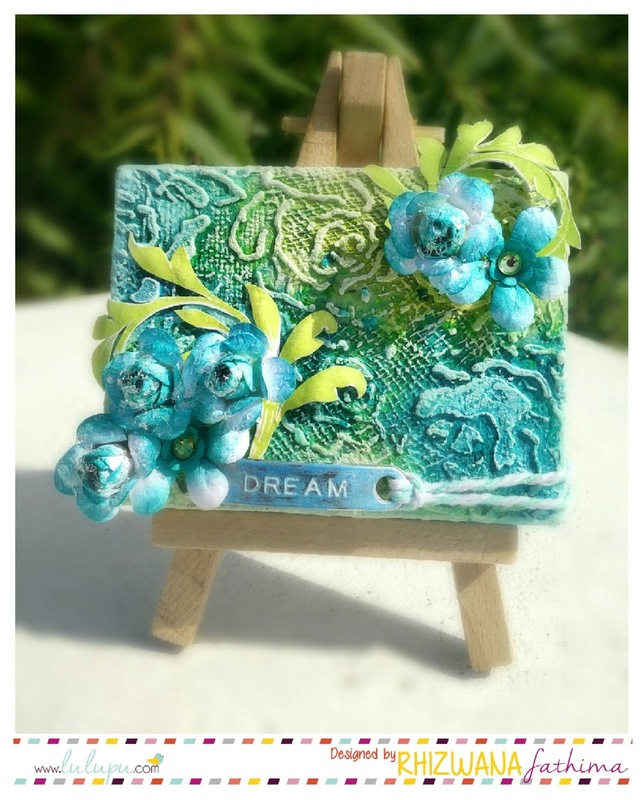 So beautiful..and thanks for the tutorial..
Oh my my... absolutely beautiful canvas.. with easy step by step instructions... thanks for sharing..